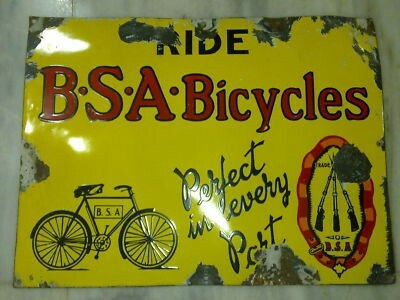 This sign is for BSA Bicycles. The sign’s colors are yellow, red, and black. The text on the sign reads: Ride BSA Bicycles Perfect in Every Part. The sign shows bicycle at the bottom and text.